Each of us moves through life with a script or vision we either hold before ourselves or one that holds us without our being aware of it. Much of the scriptures hold stories of leaders inviting awareness of negative scripts or evoking a life giving vision in faithfulness. Our church’s recent journey through advent and epiphany was a walk with the scripts in our lives held up against the vision of the good news in Jesus the Messiah. On a recent sabbatical I revised my own ministry vision statement (below) and I invite readers to do the same within a sense of their own vocation. We each do so with a sense of our own brokenness held in God’s grace. These are not statements about anyone’s perfection but a vision for focusing our energies in a world with many demands of time for lesser things. As a servant of the church, I daily strive to join with the mystery of the Spirit’s work in our broken world as an agent of God’s vision, healing and hope. Held in the grace and peace of God in Jesus Christ, I invite others to know and be held by this mystery of a salvation graciously offered for all to be strengthened in their inner being. 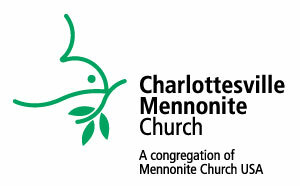 Roy Hange has served as co-pastor of Charlottesville Mennonite Church for 14 years after spending ten years in Egypt, Syria and Iran under Mennonite Central Committee at various times during the 80's and 90's. He is a graduate of Eastern Mennonite University and Anabaptist Mennonite Biblical Seminary. He works in church oversight for the Harrisonburg District of Virginia Mennonite Conference. He has also taught courses in peacebuilding at Eastern Mennonite University and the University of Virginia. This entry was posted in Our Church, Vision. Bookmark the permalink.